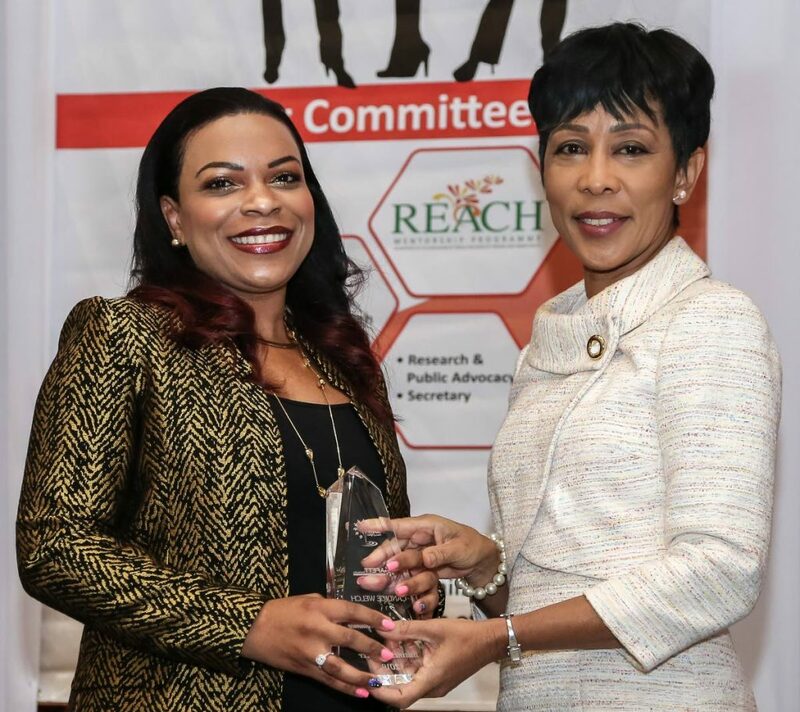 Women of the financial services sector of TT, while woefully under-represented, constitute the vast majority of the work force and effectively run banks, insurance companies, investment houses and credit unions. 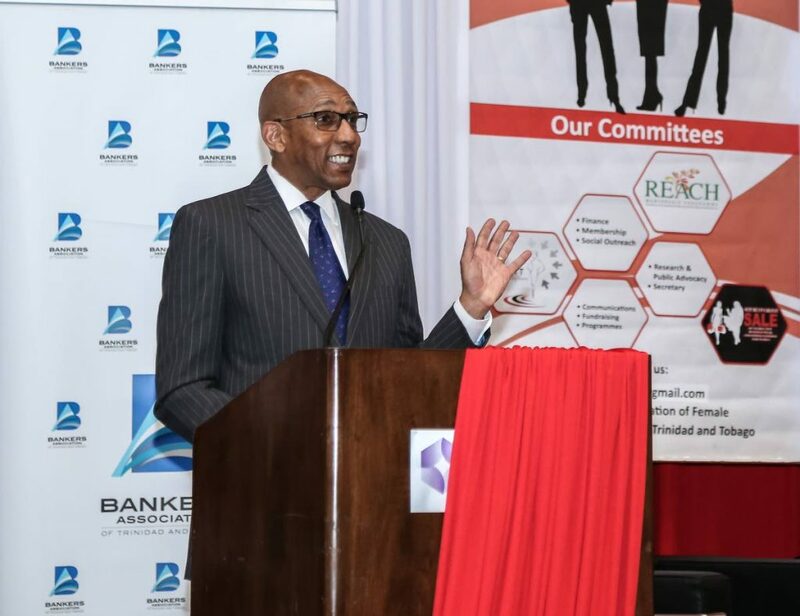 So said director of the Bankers' Association of TT Nigel Romano as he spoke on Tuesday at the Association of Female Executives of TT's (AFETT) awards and mentorship function held at the Hyatt Regency, Port of Spain. Five women were chosen from different spheres of society to be recognised for their contribution to society as we celebrate International Women's Day with this year's theme Balance for Better. 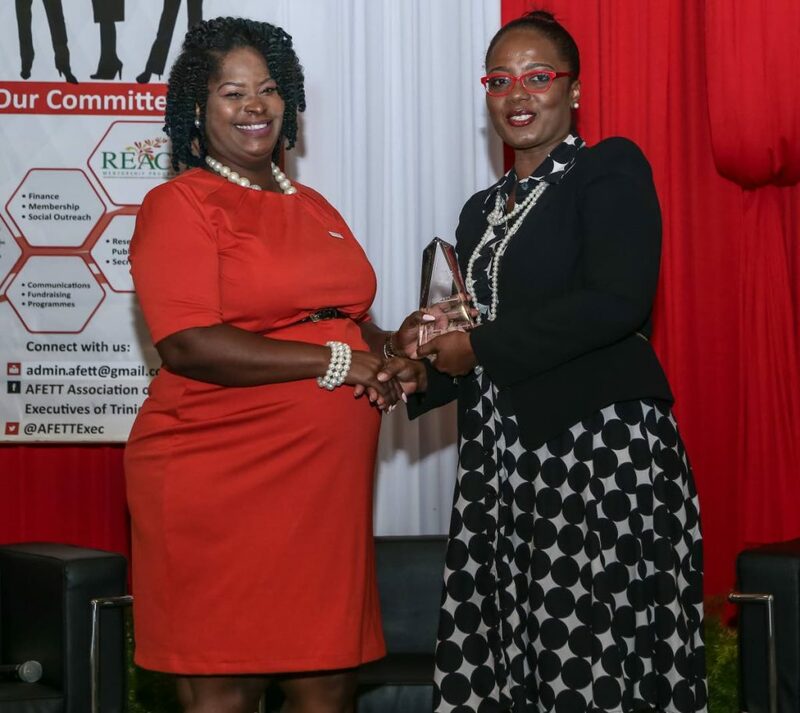 Candice Welch was honoured as business pioneer; Renele Ford for national spirit; Chevaughn Joseph for social entrepreneur; Nyoshia Cain as young female leader and; Sherleen Young-Griffith as spirit of AFETT. Quoting managing director and chairman of the International Monetary Fund Christine Lagarde, Romano said, "It's not a question of not so much pushing the boys out of the picture, but making the whole frame bigger so that both men and women access the labour market, contribute to the economy, generate growth and have jobs..."
And adding his own spin to former US secretary of state Hillary Clinton's statement that "women are the largest untapped reservoir of talent in the world," Romano added they were a "reservoir of talent, common sense, wisdom, power, insight and unlimited courage." A recent Inter American Development Bank Invest report stated the women's market was the largest emerging economy in the world and was underserved by the banking sector. The report said this was an economy that, according to the Global Banking Alliance for Women (GBA), generated a consumption of US$20 billion and revenues of US$18 billion, an amount that was greater than the GDP of the US and China combined. Forecasts indicated that it will not stop growing. GBA estimated that by 2020, 870 million women will be participants in the world economy. In Latin America and the Caribbean, only 49 per cent of women had a bank account, 11 per cent had a savings account and ten per cent had access to credit while men accounted for 54 per cent, 16 per cent and 13 per cent respectively. Romano said women should therefore be a highly desirable client segment for banks. He said the GBA confirmed that women had a better credit history than men and were responsible for making or influencing 80 per cent of purchase designs for the family unit. He said the World Economic Forum stated that 2017 was the first time in more than ten years that the gender gap began to widen again, and it could take another 100 years before the Global Equality Gap between men and women disappeared entirely. The report added that gender pay gap persisted across the globe and women were still not present in equal numbers in business or politics. The World Economic Forum noted that the number of years required to bridge the gender inequality gap has been on the increase, starting at 113 years in 2015, to 169 years in 2016 and 217 in the latest 2017 report. He said after 44 years of debate since the United Nations officially recognised International Women's Day in 1975, the gender gap was expected to persist for another 217 years. "I do not think that anyone in this room wants to wait until the year 2234 to close the gender gap. When women lose out, we lose out. I want to emphasise that recognising and empowering women is definitely a positive economic game changer." Romano urged the audience to "stay close to women who know more than you do. Model the best and learn from their experience." Reply to "Women run finance sector but behind in access to services"